With an eye on enhancing technological-innovation capability in Taiwan, Ford Lio Ho Motor Co., the local subsidiary of Ford Motor of the U.S., recently signed an agreement to cooperate with the Department of Computer Science and Information Engineering (CSIE) of the National Taiwan University (NTU) in a vehicular Visible Light Communication (VLC) development project, which aims to improve driving safety and upgrade road-utilization rate for improved vehicular energy-efficiency and lower costs on road infrastructure construction. VLC is a fast-growing technology that enables free-space wireless communications using LEDs and photodiodes. Such system often adopts LEDs, decoders, application software, and optical sensors or cameras for vehicle-to-vehicle (V2V) communications. Compared to human vision or vehicular radar sensing, the transmission of driving information with the VLC system is more accurate and faster; while VLC system is more reliable compared to traditional wireless communications, such as WiFi, thanks to the very low interference. With VLC system integrated into the Advanced Driving Assistant System (ADAS), Ford Lio Ho said, a vehicle can immediately react upon receiving information from other vehicles, making driving safer. When most vehicles on the road is equipped with the VLC, the required distance between vehicles can be shortened to raise overall road-loading capacity to also increase road utilization rate. In addition, the auto assembler said, when all vehicles on a road run at the same, safe average speed, the shorter distance between vehicles can effectively achieve lower wind resistance to enable "drafting" (when a car trails another car closely to take advantage of the relatively lower headwind) and achieve higher fuel efficiency for all vehicles. CSIE pointed out that the VLC technology has been winning increasing attention from the automotive industry, but most existing VLC systems have to adopt expensive and special optical sensors or cameras. CSIE said that one of its R&D teams has developed a more affordable solution requiring only smartphone cameras. In addition, CSIE added, with many cars equipped with LED brake lights, a driver just need to download a smartphone app and put a smartphone in a designated location on a instrument panel to easily operate a VLC system. 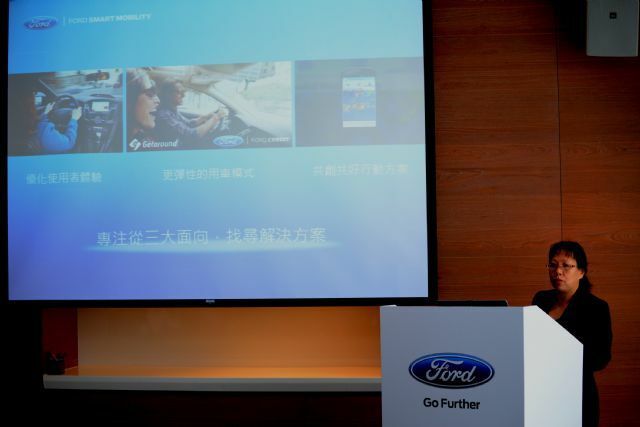 Thomas Fann, president of Ford Lio Ho, pointed out that Ford has been devoted to creating safe driving features for a long period, and the company is the pioneer of many active and passive automotive safety systems in the industry. The cooperation with CSIE, he added, is expected to upgrade driving experience of Taiwanese drivers, also enable Taiwan participate in transportation solution development projects of the future.